Brand new, unused & boxed. The Samson B4 table base is a twin leg table base that has a black column and black base to support a rectangle table top ranging from a 100x60cm to a 120x80cm. This is an ideal table for a restaurant or pub. 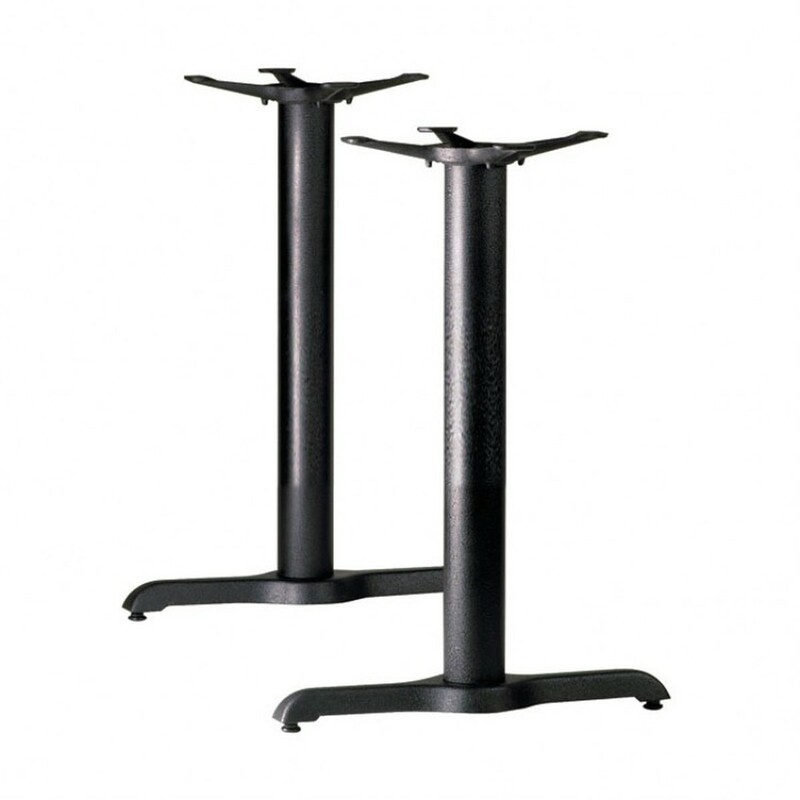 As this is a contract grade table base it will be reliable and sturdy for a long time. Recommended top size up to : 1200x800mm. IF YOU ARE LOOKING FOR TABLE TOPS TO GO WITH THE BASES WE HAVE 1000’S IN STOCK.